Being a small island in the Canaries means that La Gomera has many traditions, whether that be dishes involving home grown goods,dances or festivals. Below, we’ve listed five traditions from La Gomera that you may wish to learn more about during your time at the Hotel Jardín Tecina. The drum dance is a combination of singing, dancing and chanting, also known as Endechas, to the rhythm of the tambour drum. The romantic songs and the choreography, which is done in two lines, blend together to represent the culture of folk music. The lyrics in these songs celebrate the island of La Gomera and its people. 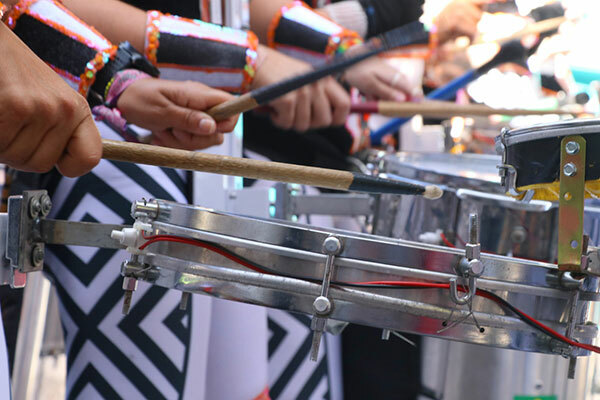 As well as the drum, chácaras are used to help the rhythm flow. This type of instrument is similar to a castanet, however, it’s usually larger than the hands of the player. There are both male and female versions of this instrument; the male has a low pitch, the female a high one and both would be used during the drum dance. Why not grab one and see if you can catch the beat? 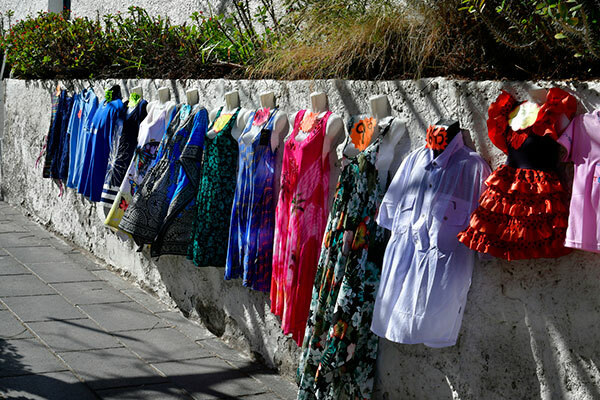 La Gomera has a traditional clothing industry where offerings are made to the Saint. 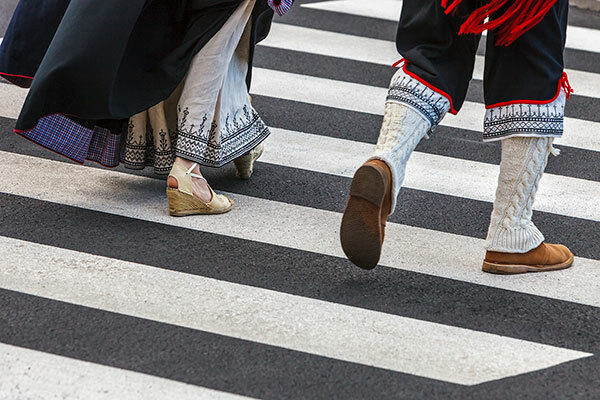 The customary outfit worn by women would include black boots and either a white skirt with red stitching or a red or blue skirt with embroidered daisies and a white blouse. Other items could include hats with coloured handkerchief edges and stitching. The men’s traditional outfit entails canvas shoes, black trousers and a white shirt with a black vest and red sash. The specifics will vary from area to area in La Gomera. Make sure you browse around the local shops on the island,as they sell organic and ethical garments that are made from natural silk,hemp, linen and cotton. These clothing items are mostly scarves, include exotic patterns and bright colours and would make the perfect souvenir. 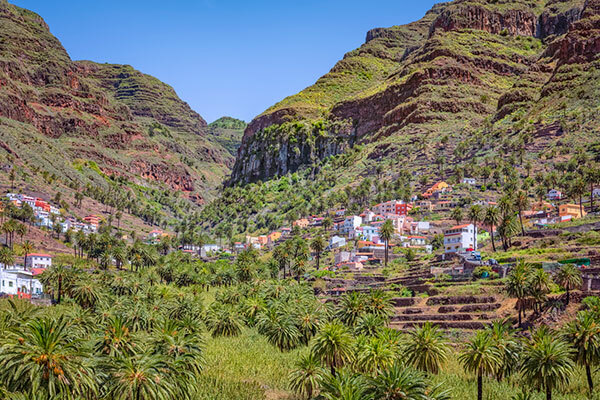 La Gomera has very fertile soil underneath its diverse terrains, so many of the delicious meals include a wide variety of home grown goods, as well as the many types of fishes in the surrounding oceans. The recipes for the following dishes are simple and use traditional methods, so you could easily try them out yourself. Miel de Palma is a sugary syrup extracted from palm trees that’s used in traditional cuisine. Almogrote is a pâté made on the island and is created using goat’s cheese, peppers, garlic, oil and herbs. A traditional meal that were commend trying is watercress soup. 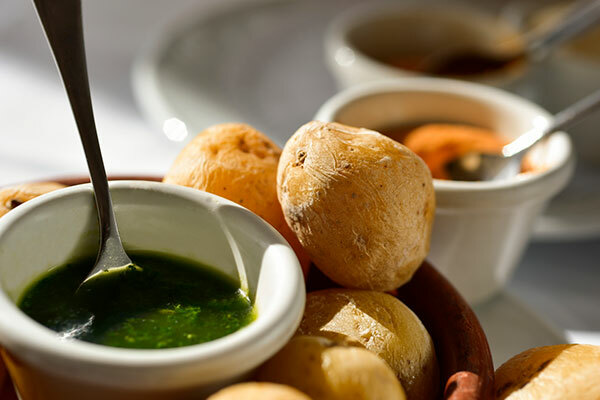 A staple on a Gomeran dinner table would be Mojos, a rich sauce that comes in both red and green varieties and is used a dip for bread or to cover potatoes. The red sauce is made with paprika and red chillies and the green uses green peppers, parsley and coriander – try both and see which you prefer. There are many Christian festivals celebrated on the island,including Los Reyes Magos, which translates as the Three Wise Men. This tradition is celebrated on the 6th of January and involves the children of the island receiving gifts from the aforementioned figures. It’s celebrated at this time as that’s when Melchior, Caspar and Balthasar visited baby Jesus and presented him with their presents of gold, frankincense and myrrh. During this celebration, a re-enactment of the arrival of the Three Wise Men is organised through a parade along the streets, so all of the locals line up to watch the many dancers, musicians and puppeteers. Los Reyes Magos ride on camels or decorated floats and toss sweets to the children watching – a real spectacle that you should try and fit into your schedule. The whistling language, also known as Silbo Gomero in La Gomera, was originally used as a way of communicating between the islanders during the 17th century and was recently made compulsory in schools. It began to decline during the 1950s, so the community and the government came together to revitalise it through implementing new policies. This traditional form of language allowed the inhabitants to communicate from mountain to mountain, or mountain to valley within a 3 to 5 km radius. This was the only form of communication they had to interact and explain any public announcements through the rough terrain. Why not try it out for yourself and see if you can do it too? If you wish to book a trip to Hotel Jardín Tecina and experience the many traditions in La Gomera then call us on 0800 0350704 or contact us via our website.